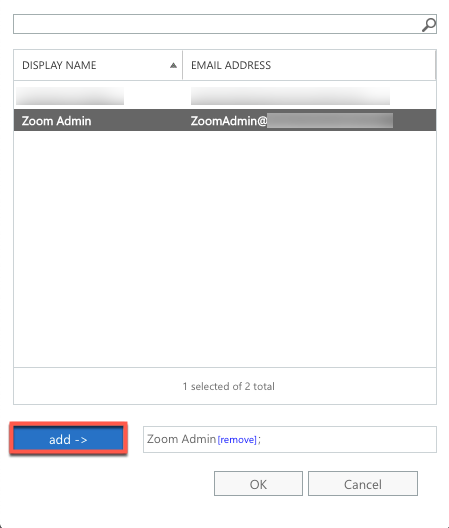 After the Office 365 administrator completes all steps in each section, they will then use the credentials of the dedicated user to provide authorization for the Zoom Rooms in your account to use the calendar service and all of its calendar resources. 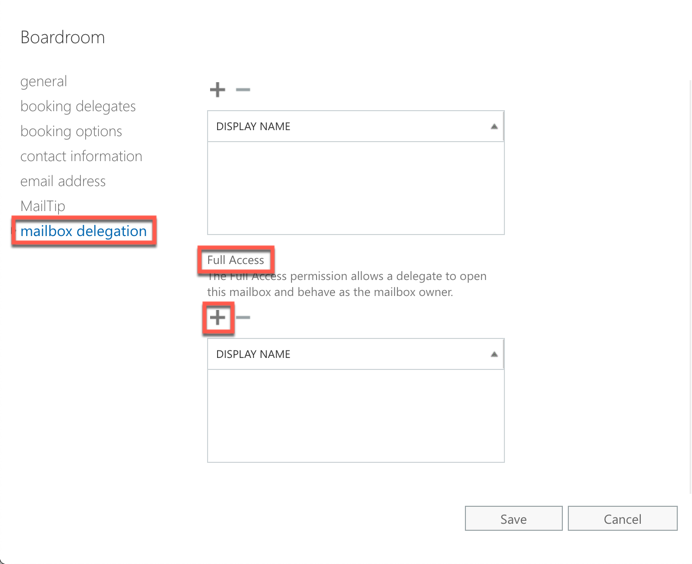 This is how Zoom will sign in to Office 365 to access the room calendars. Sign in to Office 365 as an admin. Add a user in your Office 365 account. See the Microsoft documentation Add users to Office 365 for instructions. Make note of the email address and password. Proceed to the next section to Create or locate a calendar resource for each room. Log in to ECP as an admin. Click on the plus (+) sign if you need to add a room. Zoom recommends that you use a prefix (such as ZR) for each room or choose your own method for easily locating the Zoom Rooms. Make note of the display name and email address of each calendar resource. Proceed to the next section to Delegate rooms to the dedicated user. Double click the name of a room. Next to Send As, click the plus (+) sign. Select the dedicated user and click add->. Scroll down to Full Access and click on the plus (+) sign. Repeat steps 3-11 for each room. Proceed to the next section to Enable the dedicated user to edit the Zoom Rooms calendars. 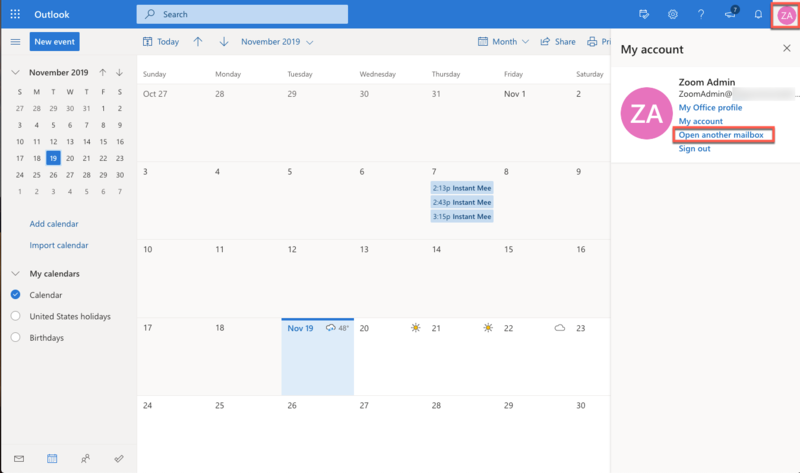 Open the dedicated user's "Calendar" and from the top navigation, click the dedicated user’s name to open a drop down menu. This will open a Microsoft pop-up dialog window. Enter the name of the calendar resource you created in Section 2. This will open the calendar resource mailbox. 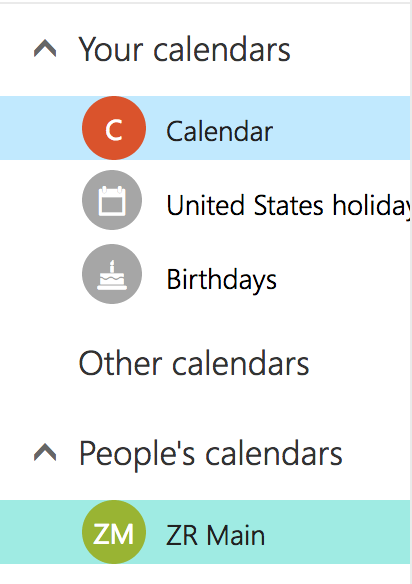 Click on the calendar in the bottom left hand corner of the navigation pane for the calendar resource. 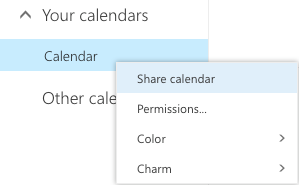 Right click Calendar under "Your Calendars" and choose Sharing Permissions. Enter the email for the dedicated user, choose Can edit from the menu, and then click Share. 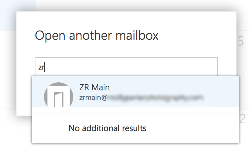 Open the mailbox for the dedicated user, and accept the invitation from the calendar resource. This opens the Calendar tab. Ensure that you see the Zoom Room calendar resource listed on the left side of the page under Other Calendars. Proceed to the next section to Update the calendar resource settings using Windows Powershell. Start Windows PowerShell using the “Run as administrator” option. This option is available when you right-click the Windows Powershell app without launching it. Enter the Office 365 administrator username/password in the dialog box. Make sure that this account has permissions for both “Organization Management” and “Recipient Management”. Connect the session using the following command. Note that this command will fail if you are not running Windows Powershell as an Administrator, as required in Step 1. 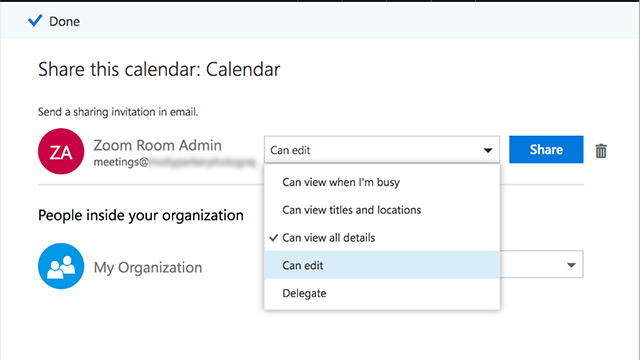 Check the settings for the calendar resource with following command, changing the value for “room_name” to the actual room name value. In most cases, these values are set to True. Change the settings for the room with following command, changing the value for “room_name” to the actual room name value. If you see an error such as “The operation couldn't be performed because object 'Room' couldn't be found on 'zoomwithus.onmicrosoft.com'.”, that means the scope of the role group that grants you permission to run the cmdlet does not include the user/room. Make sure you are logged in with an admin account, as required in Step 3. If you see an error such as “Set-CalendarProcessing command not found”, make sure the administrator account you used to log in to PowerShell has permissions in “Organization Management” and “Recipient Management”, as required in Step 3. Check the settings for the room after changing the settings, with the following command, changing the value for “room_name” to the actual room name value. "DeleteSubject", "AddOrganizerToSubject", "DeleteComments" and "RemovePrivatePropoerty"
Repeat Steps 7-11 for each calendar, changing only the room name in each command. Proceed to the next section to Add the calendar service to Zoom. Sign in to the Zoom web portal as a Zoom Rooms administrator. 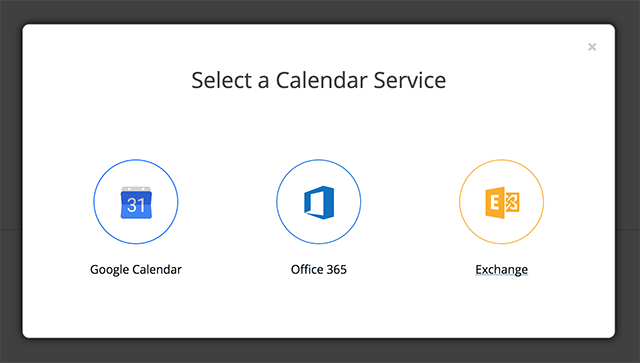 The Office 365 dialog displays. If the value is not already automatically filled in, enter the URL for the EWS server. Be sure to include the entire URL, including the https:// portion. Note: See Add a Zoom Room for information on configuring a calendar resource with a Zoom Room.